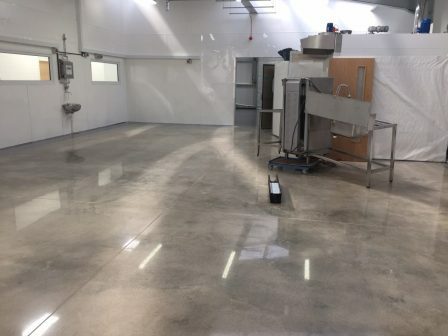 Polished concrete is fast becoming one of the most popular flooring options for commercial, industial and even residential settings in the world. We see evidence of this by walking into any big box store and looking down at the floor. The big box stores realized long ago, polishing concrete is the most economical flooring option on the planet today. We know that polishing concrete is the most economical flooring option available, but how do they look? They not only look great, but they can be compared to expensive looking natural stone. Adding color or staining concrete can add to the beauty and greatly enhance the look of the whole room. When it comes to polished concrete floors Saint Petersburg, terrazzo floor refinishing or just maintaining natural stone, we strive to help educate our customers on the best protection they can have, helping them save time and money in costly refinishing costs down the road. 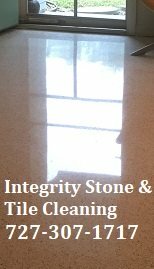 We offer our services in Saint Petersburg, Florida and surrounding area, but refinish terrazzo floors, clean tile and grout and natural stone surfaces throughout the Tampa Bay Area.